French president Sarkozy says: "We are not putting a lot of money on the table to help our carmakers in order to see all factories go abroad." MUNICH – Renault says it may reach a compromise in a dispute with the French government over plans to end production of the Clio in France. French president Nicolas Sarkozy summoned Renault CEO Carlos Ghosn to a meeting on Saturday over concerns that the next Clio might be produced only in Turkey. 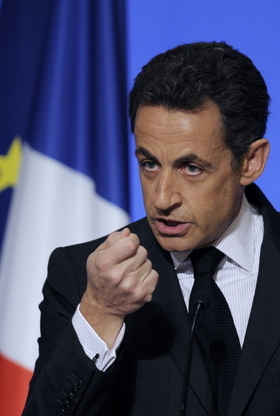 Sarkozy told parliamentarians that the state needed to defend factories and jobs but could not prevent a global company from having sites elsewhere. "We are not putting a lot of money on the table to help our carmakers in order to see all factories go abroad," he said at an event at the Elysee palace. Industry Minister Christian Estrosi said the meeting on Saturday would aim to find a new way forward for the carmaker and the French government, which is a 15 percent shareholder in Renault, a former public company. "I want to say very clearly that we would not be well disposed towards a decision to have the Clio 4 mainly produced in Turkey," Estrosi said after meeting Renault's chief operating officer, Patrick Pelata. He said decisions will come from the meeting "that meet the choices that the president of the republic, as a shareholder of the Renault group, will impose upon them." 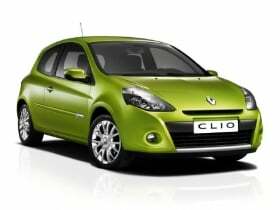 Estrosi said Pelata had pledged not to cut jobs at Flins, near Paris, where an older model of the Clio is produced. The current model of the Clio is mostly produced in factories outside France, including Spain, Slovenia and Turkey. The debate now underway between Renault and the government is over where the next generation of Clios will be built. The state has long sought to influence Renault's strategy to preserve domestic jobs but in recent years Renault has moved production of many of its smaller models to countries where labor, taxes, and production costs are lower. Renault is seeking to boost sales in emerging markets such as Turkey and to reduce production costs. For the new model of the Clio, Pelata said Renault was considering producing the car at its Bursa plant in Turkey, at Flins, or at both plants. No decision has been made, he said. Renault said on Tuesday "several scenarios" for the Clio are being looked at but the company needed to ensure that it was manufactured as economically as possible. Alexander Law, chief economist at the Xerfi institute, said the dispute pitted the interests of the state and jobs in France against the profitability goal of the company. "It will remain a verbal dispute because how would the state be able to prevent Renault from optimizing its production system?," he said. The past year was supposed to have been a year of celebrations at Renault, following a much-touted profit and performance enhancement plan by Ghosn. But the credit crisis and steep fall in consumer spending and car sales derailed that prospect. Financial analysts expect Renault to make a net loss of 2.6 billion euros ($3.8 billion) in 2009 and a small profit of 100 million euros in 2010, with a return to a 1.1 billion profit in 2011.